It's finally done! I've been dying to finished this pattern for everyone. 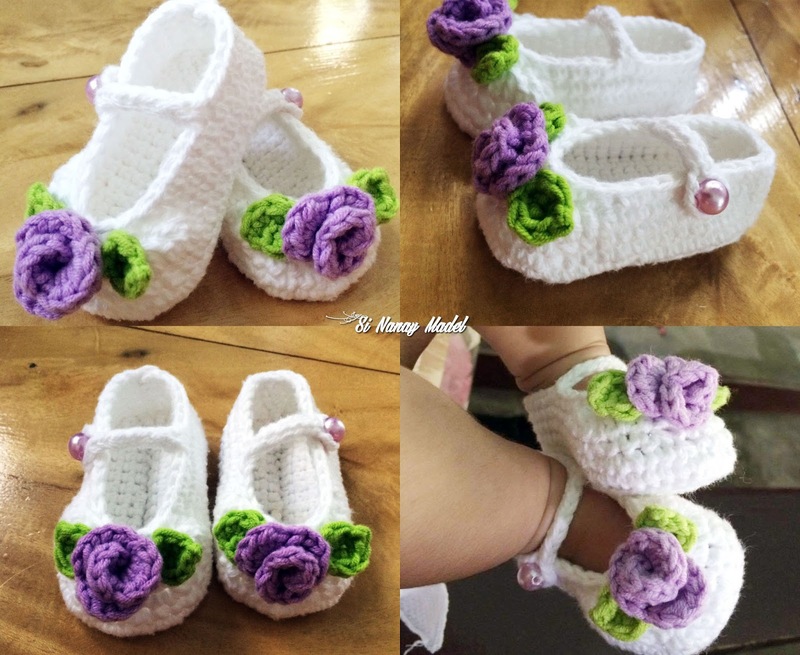 I love making baby shoes but have stopped though because no one is using my baby shoes, for my kids have all grown up and are no longer babies but they will always be my "babies". Then my sister gave birth to a beautiful baby girl last February and here I am again making beautiful crochet things for our newest bundle of joy. Yes I know she was born in February and it's already the end of June, and I just posted this pattern today. It's because we've been so busy, from the closing of classes (March in the Philippines), to super full of activities in the summer (April-May) and the opening of classes (June). And in between those months, we've moved to our new home. It's not done yet but it is our own now. We've been staying at our Aunt's house for the past 7 years and finally, we have a home to call our own. So that is why this pattern is so past overdue. I wish this coming month I'll be able to crochet more and share more. All patterns written in standard US terms. PATTERN ONLY - Not finished product. Directions are written so that they are easy to read and follow. Materials, Gauge, and Stitches Used are also indicated in the Pattern. Please be respectful and do not sell or distribute this pattern in any way, especially as your own. This pattern is intended for personal use, it may not be distributed in any form. You are welcome to sell the finished product that is made using this pattern. Text and images Copyright ©2017 by Si Nanay Madel, all rights reserved. No pattern may be reproduced or distributed — mechanically, electronically, or by any other means, without written permission. Don't forget to share on Facebook, Pinterest , Twitter and more. I always make sure to share also because I learn to crochet for free from some very generous bloggers. So please also click the links and support the bloggers. Hi there! I am Madel the owner of this blog. I am a mother of two and a crochet enthusiast. 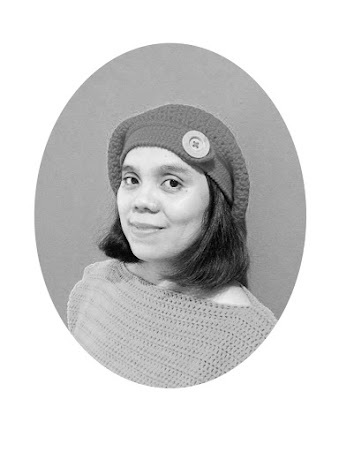 My kids call me "Nanay" or Mother, hence the blog name "Si Nanay Madel". I do a lot of FREE Crochet Pattern here and some tutorials on crochet also. So I hope you'll enjoy while being here and don't forget to follow me below. Thank you! FREE PATTERN: A Dozen Squares... Plus More!! !